Lastly, I’d like each of you to say a few words regarding the return of The Legend of Zelda: Ocarina of Time 13 years after its original release. 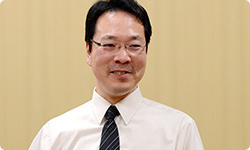 Shall we start with you, Iwawaki-san? Sure. I actually tried out The Legend of Zelda: Ocarina of Time 3D for the Nintendo 3DS system and felt that big world of The Legend of Zelda drawing me in. That immense world was in the palm of your hand. Yes, just like that. I felt like that world was right there. I hope everyone else will enjoy the world of The Legend of Zelda to the fullest. As mentioned earlier, it was really fun when we were making the original game, because each day we made rewarding progress and the world in the game rapidly came together. I think the players could sense the fun we had. You feel like the developers’ feelings reached the players through the game. Right. Our feeling 13 years ago is even further amplified in the Nintendo 3DS version. I hope the players will sense that. If you go on an adventure in that gigantic world in the Nintendo 3DS version, new discoveries await. Some who played the Nintendo 64 version may not have played it to its fullest. That’s right. We put in all sorts of weird stuff (laughs), so I hope everyone will find those things. 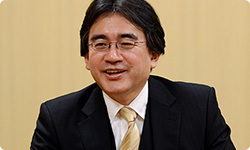 The Nintendo 3DS version is a remake, but there are different directions to take with a remake. I don’t think simply spiffing up the graphics and making it more luxurious would inspire the same moving experience. But this remake takes advantage of the stereoscopic 3D, allowing players to experience the splendour of the Nintendo 64 version from a new perspective. I think that’s great. Kawagoe-san, have you played the Nintendo 3DS version? Yes. I was surprised to see what the landforms we had created were like! You didn’t know until seeing them on the Nintendo 3DS version? No. On the Nintendo 64 version, I sort of knew what they were like by filling in their real forms in my head, but on the Nintendo 3DS version, like when looking at Hyrule Field, I got a much clearer sense of what the landforms and distances were like. You were surprised even though you had made them. A discovery 13 years later! I see. 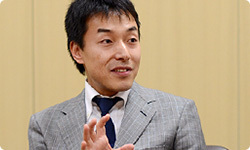 How about you, Koizumi-san? I’m really scared to play the Nintendo 3DS version. That’s because I feel like if I encounter my work from 13 years ago, I’ll find a lot of stuff to make me cringe. But they’re making the Nintendo 3DS version in Tokyo, so they asked me to check it. I hesitantly tried it out (laughs) and was pleased to see how handsome Link looks! I changed the character design for Link a lot for The Legend of Zelda: Ocarina of Time. At first he had a button-nose. Yeah, he had a distinctive nose. 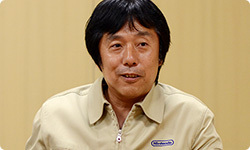 My wife said, “All of Nintendo’s characters have funny noses. Don’t you have any handsome ones?” I was shocked. Then when we were making The Legend of Zelda: Ocarina of Time, I was in charge of Link’s character design, so I made him a little better-looking. Huh? So Link is your wife’s type? I cut back on his sideburns and made his nose a little stronger. Yeah. He wears that green tunic and cool gloves, but underneath, it’s long underwear. (laughs) But when I saw Link on the Nintendo 3DS version, I was pleased by how incredibly refined he looked. So I want everyone to check out that even cooler Link! I haven’t laid hands on the Nintendo 3DS version yet. 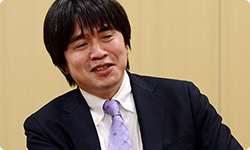 That’s not because I’m scared like Koizumi-san, but because I want to buy it myself and play it like any other gamer. I’m really looking forward to seeing how what we made 13 years ago has changed, and I’m glad what we made 13 years ago has had new light shed on it by someone else, so I can enjoy it too. I suppose you’ll feel like you’re opening a time capsule. Yes. The only Legend of Zelda game I’ve ever worked on was The Legend of Zelda: Ocarina of Time, so I felt like I had done everything I could. But today, 13 years later, I even want to enjoy looking at it again and noticing places where I could’ve done better, so I can’t wait for the release date. 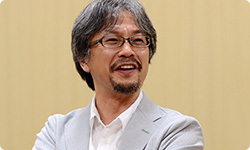 Aonuma-san, want to switch with me on Super Mario Bros. sometime? Hey, that sounds good... Or maybe not! I’ll make the next Legend of Zelda game. Then you can enjoy playing it. I enjoyed hearing everything you had to say today. Thank you for taking so much time.